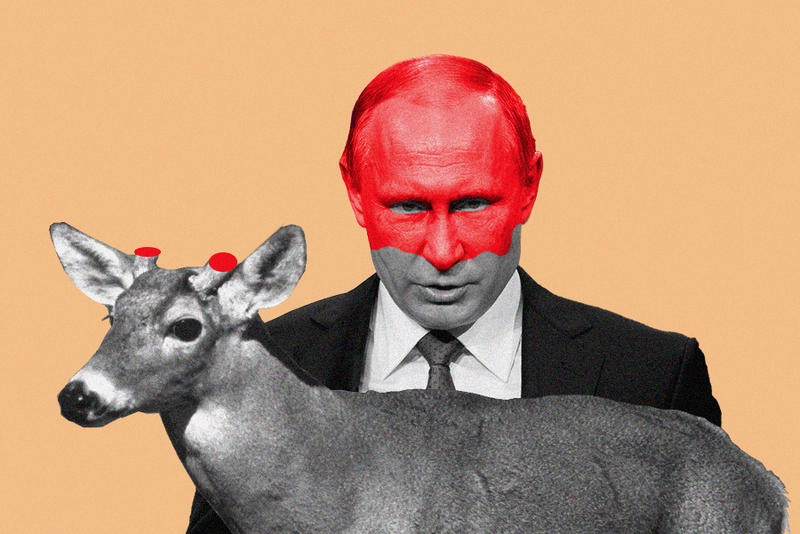 In this week’s “Only in Russia” news: President Vladimir Putin is reportedly bathing in blood extracted from the severed antlers of maral deer. It’s not just Putin this time, though: The practice is, by all accounts, quite popular in Russia due to its alleged health benefits. “Every summer, farmworkers saw off the antlers of thousands of maral deer a few months before they are naturally shed, boil the antlers in vats and use the murky soup to produce baths and steam treatments treasured by many Russians as a cure for everything from arthritis to impotence,” foreign correspondent Alex Rodriguez writes for the Chicago Tribune. But why do this at all? It’s because the blood is believed to contain a substance called pantogematogen, which purportedly has unique curative properties. Scientists at the Siberian branch of the Russian Academy of Medical Sciences support this belief, claiming that research points to pantogematogen as a potential treatment for numerous afflictions, including cardiovascular disease, arthritis, ulcers, impotence and infertility. From there, the antlers are amputated with an electric saw. By all accounts, this is an extraordinarily painful experience. The chief technician at Novotalitskoye Farm, where maral deer are bred strictly for bloodletting purposes, told The Siberian Times that the suffering is, “Equal in feeling to your hand being chopped off.” No anaesthetic is provided, and because the antlers are quick to regrow, the animals relive this wretched experience upwards of 15 times during the course of their lifetime. Then again, are we at all surprised by any of this? The legend of narcissistic aristocrats prolonging their lives with blood is a pervasive and compelling one. Even here in America, Silicon Valley billionaire (and professional vampire) Peter Thiel has expressed his desire to inject himself with the blood of young people to reverse the aging process. Compared to that, deer antler blood suddenly seems almost tame.